South Bronx cyclists, skateboarders, and pedestrians now have easy access to Randall’s Island, one of New York’s largest recreation areas. Initiated by the New York City Economic Development Corporation (NYCEDC) in 2013, the Randall’s Island Connector opened this Saturday, November 14. 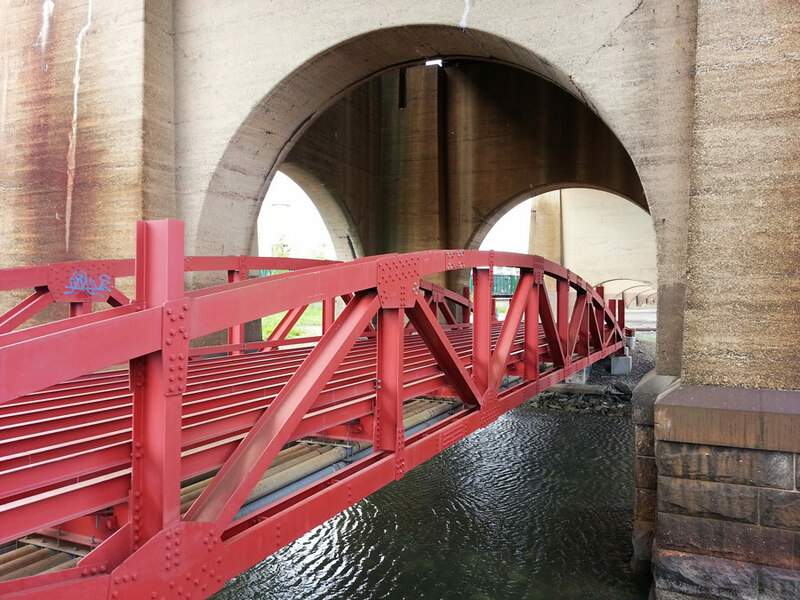 The quarter mile greenway extends over the Bronx Kill at East 132nd Street in Port Morris and under an Amtrak bridge to link Randall’s Island to the South Bronx. 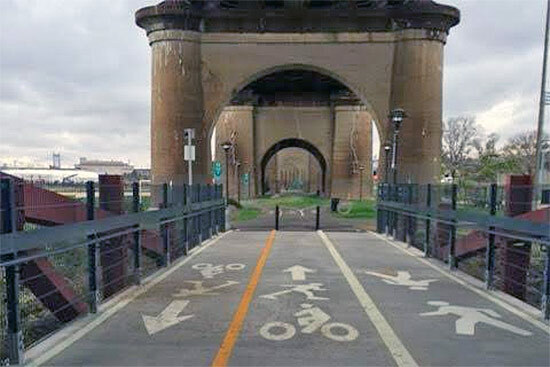 The paths will give cyclists and pedestrians an alternative to the cumbersome access via the RFK Bridge. See the video above for a complete tour of the new route. 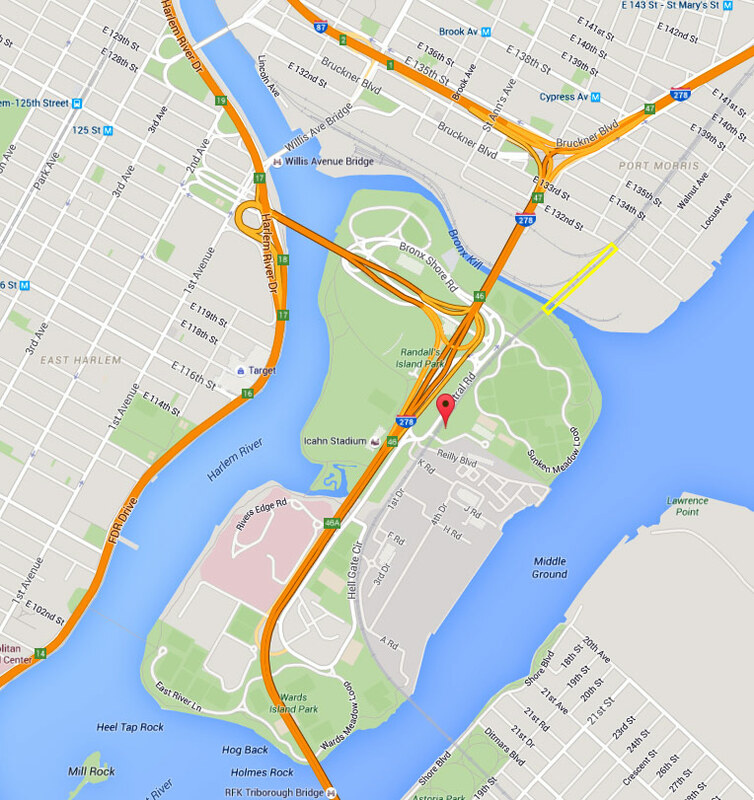 At some points, only 50 feet of water separate the South Bronx from Randall’s Island’s 400 acres of green space. Due to circuitous access routes, many area residents do not know about or are unable to get to the island easily. The Randall’s Island Connector is part of the South Bronx Greenway, a publicly funded initiative to create connected park space in the South Bronx while broadening access to green spaces borough-wide. The connector brings the borough, and the city, a step closer to their vision of building holistic green systems in an underserved area.